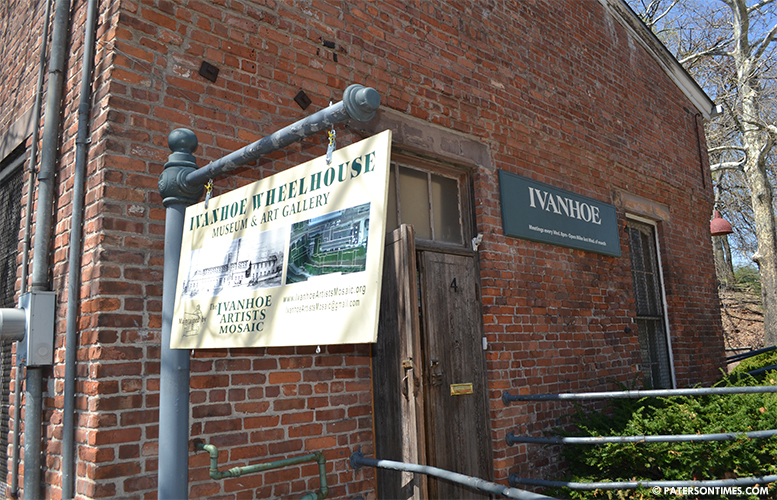 The current occupants of the Ivanhoe Wheelhouse received a letter to either vacate the building or show cause by end of day Friday. The Art group that is currently utilizing the building came before the city council on Tuesday to implore for an extension to the deadline. “We’re hoping we can open a dialog with them,” said Ken Wallo of the Ivanhoe Artists Mosaic. Wallo and the group sought an extension to the December 19, 2014 deadline to file papers with the court or empty the building. City’s attorney Ben-David Seligman told the group they can work with the other party in the litigation, the city, or go directly to the judge to request an extension. The group mentioned a large number of things it has been doing to promote the arts in the community: holding concerts, art shows, and keeping the building open for visitors to the Great Falls National Park. Despite the laundry list of artistic events Wallo mentioned, the city seems unlikely to let the group hold on to the building. The group’s president Jim Riley says there was a verbal agreement between the mosaic and the city. Torres said the group has to submit paper work to the Landlord/Tenant court by Friday and the court will grant the city possession of the building by January 23rd, 2015. “It would be a major catastrophe for the artists to lose that venue,” said Lewis Cole, chairman of the Grassroots Arts Council of Paterson (GRAC). He said all the programs being run from the wheelhouse will be dismantled if the artists were to lose control of the building. Torres said after the city takes back the building it will encourage all art groups in the Great Falls Historic District area to submit proposals to the city as to what their plans are for the building: programs they intend to run, whether they have the capacity to run them. The proposals will be reviewed by a committee, said Torres, after which the city will enter into a lease agreement with the prevailing art group.